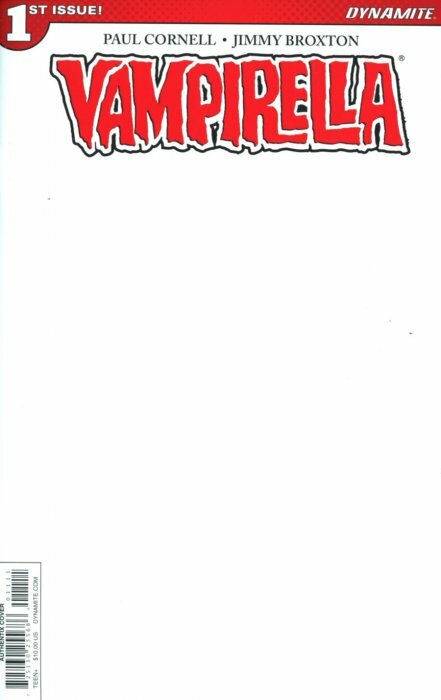 The Blank Authentix Edition - available as a variant to Vampirella #1 - allows you to have your favorite artist create their version of the Vampire vixen! After a sleep of over a thousand years, Vampirella finds herself back among the land of the living, but in a world far different than the one she remembers, where hope is laced with fear and blood has a far different taste. And speaking of taste, finding an appropriate outfit for the era leads our fanged fatale to a chance encounter that will garner her not one but two potential allies.